While churros are, without question, one of Disneyland's most iconic snacks, if you're looking for the most legit churros in the surrounding area, just follow the theme park's employees to their actual go-to churro spot. For many Disney cast members, Don Churros Gomez, a relative newcomer in the ultra-competitive churro scene, is the ultimate churro destination in Anaheim. Co-owner Jaime Nuñes Gomez serves his fair share of Disneyland employees, including those that run the in-park churro stands. He was even asked to cater a large event thrown by the union representing Disneyland's food and beverage staff, where many employees admitted to loving and recommending his business. All this love is shown because what Jaime and his family crank out at Don Churros Gomez, is a delicious taste of history. While they've only been open in the US for less than a year, their churro mastery is stuff of legend in Yahualica, a village in the highlands of Jalisco, Mexico. There, Churreria Gomez has been giving locals their fried dough fix for over 50 years, with a family recipe, which just happens to be vegan, that hasn't changed a bit in that time span. 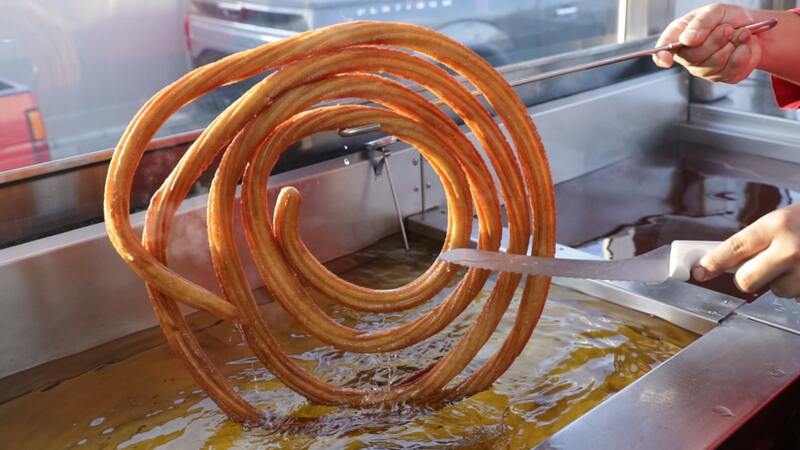 With massive spiral churros coming out of the deep fryer, along with the churro stand's open-air mystique, customers at both locations always leave with a smile on their face, and a traditional Mexican churro experience. In terms of who's running the show, it's a complete family affair. Jaime's father Isaias, mother Maria, and cousin Victor own and operate the original stand down in Yahualica, while Jaime and his brother Ricky run for the Anaheim cart, which serves more than 2,000 churros daily. Don Churros Gomez actually sells two different types of churros, one of which is almost impossible to find anywhere else in the United States. They have the traditional iteration with a taste and texture more familiar to American churro lovers, as well as the churro grueso, a variant native to the highlands of Jalisco. Called the "Don Churro" on the menu, this special churro is crispy on the outside, and a lot more doughy on the inside than your standard churro. 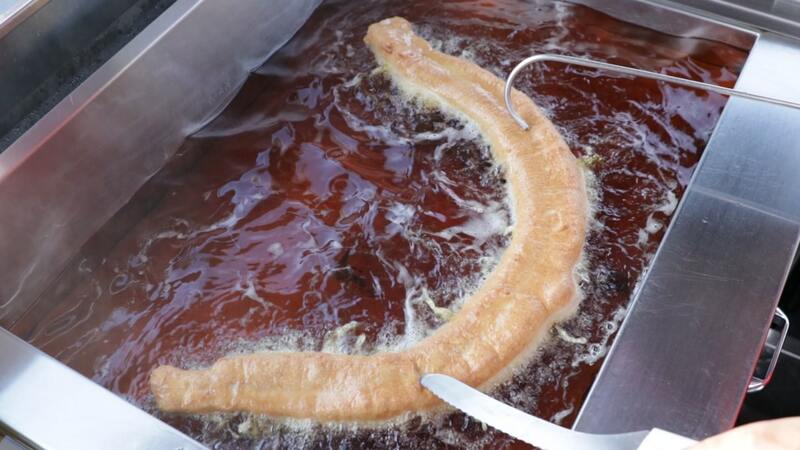 Both churro types can be ordered by the rosca, where an entire thread/spiral is cut up into pieces and served with cajeta (a traditional Mexican caramel spread) imported from Jalisco. You can also order individual churros with scratch-made abuelita, (a hot chocolate mixed with cinnamon and sugar) or with smooth vanilla ice cream. For those looking to get an all-in-one experience, there's also the "Churro Know" combo. 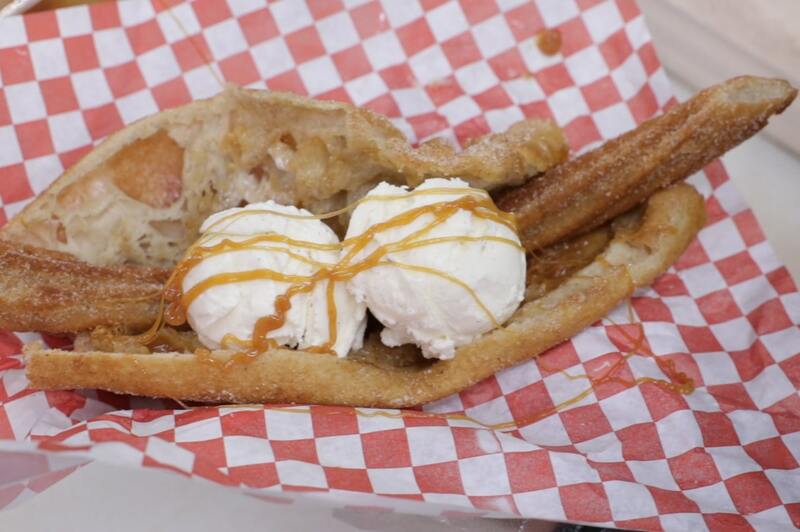 You won't find this on the official menu, but asking for it reveals a treasure trove of a churro, ice cream, and cajeta all crammed into a split open "Don Churro." 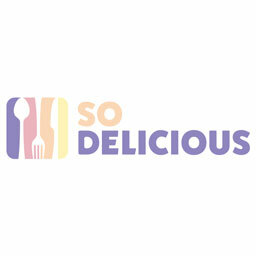 It's built for those looking for something insane to post to their Instagram feeds, and is decadent enough to rival any treat from nearby Disneyland. Don Churros is only open Thursday and Friday from 5:30-10:30 p.m., and on weekends from 6-10:30 p.m.